Being able to breathe naturally and deeply gives you endurance for long copy reads – and calm when you feel the creep of anxiety entering your voice. These exercises will help. 1. Inhale slowly and deeply through the nose. Exhale slowly through the mouth. Repeat. 2. Inhale slowly and deeply through the nose. Exhale slowly, making the sound “ahhhhh.” Use your diaphragm. 4. 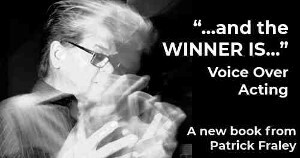 Inhale slowly and count aloud, clearly enunciating each number until you run out of breath. This is also a good warm-up for articulation exercises. He hid at home and sobbed when his sister seized whatever he had on top in the thin five-shelved closet. 6. Take a deep breath and see how far you can read through this grouping of words. Make each word come alive as you say it. Don't just race through – interpret! Well, how did you do? Keep practicing these exercises. 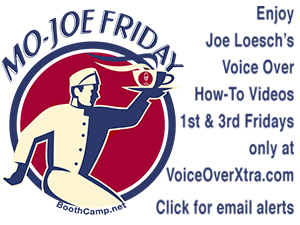 You'll improve over time, and greatly enhance your voice-over abilities. 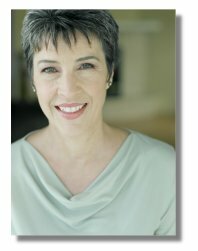 Connie Terwilliger is a veteran voice-over talent, coach, spokesperson and actor based in San Diego. 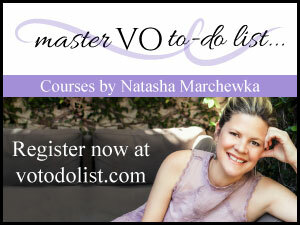 She is also a producer/writer, and teaches a college-level course on voice-overs in San Diego.